Found the perfect vehicle and want to buy it now? At Manheim locations there are vehicles available for immediate purchase. You can select from a great range of vehicles including sedan, hatch, station wagon, ute, SUV and 4WD, many are government and end of lease cars which are late model, low km’s and some even come with the balance of new car warranty. With BuyNow, not only do you get the ease and convenience of purchasing a vehicle ready to take home, you also save time and money. The fixed price for BuyNow vehicles include all fees, charges and GST. It excludes stamp duty and any government charges. Browse BuyNow vehicles on our website by clicking the Fixed Price tab at the top of the screen and then visit the operating location to inspect in person. Check location viewing days and times, including weekend hours. Contact us if you would like to know more about how you can use BuyNow for selling your inventory, or if you have questions about using BuyNow to purchase. 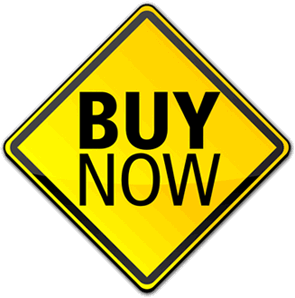 You can view the BuyNow range online or at each location. Each BuyNow vehicle listing includes photos, vehicle description, Road Test Report and the BuyNow price. Pay for your new vehicle onsite at cashiers or reception. Once full payment has been confirmed, you can collect your vehicle. Choose. Buy. Take Home. It’s as easy as that. Look for vehicles with the BuyNow icon on them or ask a Manheim team member if you are unsure. Every vehicle is road tested for basic driveability and the Road Test Report is displayed on each vehicle. In some states the law requires BuyNow vehicles have a Statutory Warranty plus many of the vehicles sold via BuyNow have the balance of new car warranty. For health and safety you are unable to test drive vehicles. Vehicle engines may be started by one of our team members on your behalf. Most of these vehicles will go to auction if not sold. You can register and bid for vehicles at auction where the highest bid will secure the purchase if the reserve price is reached. Dedicated BuyNow vehicles are available for a short time. It is illegal to drive an unregistered vehicle. You can obtain an Unregistered Vehicle Permit through any vehicle registration office and most of our sites. Check with a Manheim team member for more information. Collect log books and accessories, where available, for up to 7 days after your purchase. Books and accessories will be disposed of if not collected. The fixed price for BuyNow vehicles includes all fees, charges and GST. It excludes stamp duty and any government charges. For more information download the brochure at the top of this page. View BuyNow vehicles available for immediate purchase.